Minutes from the October Fed meeting were released this week and were largely in line with market expectations. Members generally believed that tapering of asset purchases was not warranted in the immediate-term but pointed out that if economic conditions warranted, the Fed could decide to reduce asset purchases at one of its next few meetings. The minutes left a December taper on the table, although it seems more likely that any action will be pushed off likely until March of next year after the next round of debt ceiling negotiations take place in Washington D.C.
China has announced a sweeping economic reform plan that is being characterized by some analysts as “the biggest freeing up of China’s economic policy since the 1990’s.” The proposals include financial reforms, allowing the market to set prices and an easing of the country’s one child policy. If implemented successfully, these reforms would substantially reduce the downside risks associated with China’s economy. IT experts provided a warning to a Congressional hearing this week saying that the Healthcare.gov website should be shut down as it is full of security flaws that could expose the extremely sensitive user data of millions of people. These experts recommended a complete rebuild of the troubled website so that it would run better and make it more secure. Last week President Obama announced people would indeed be allowed to renew their current health insurance plan for 2014 if they wished, following many Americans finding that their plan would not be renewed by their insurer despite Obama’s proclamation that “if you like your plan, you can keep it.” The President may have spoken too soon yet again as there are at least five states that won’t be letting those plans be reinstated, as they believe it would harm their state health care exchanges. Many individual carriers are also not allowing their customers to extend their old policies, due to time constraints and other obstacles and if they are allowing them to be renewed, many will be increasing premiums substantially. Stock markets set new record highs again this week as the S&P 500 Index increased by 0.40%, closing at 1,805. The Dow Jones Industrial Average was up 0.68% to close at 16,065. The S&P and the Dow respectively are up 26.54% and 22.59% year to date. Treasury yields rose some this week on some comments within the Fed minutes indicating that tapering could be coming in the next few months. The 5 year and 10 year treasury are now yielding 1.36% and 2.75% respectively. The spot price of WTI Crude Oil went up this week, rising by 1.20% and closing at $94.83per barrel. Year to date, oil is now up 1.76%. The spot price of Gold dropped this week, falling by 3.62% and closing at $1,243.47 per ounce. Gold is now down 25.78% this year. Initial jobless claims fell from last week to 323,000 vs. consensus estimates of 335,000. The four week moving average for claims fell to 338,000. The Labor Department noted that while no states estimated claims, seasonal adjustment around the Veterans’ Day holiday may be affecting claims numbers. The level of existing home sales declined more than expected in October, falling by 3.2% vs. expectations of a 2.9% drop. The decline in existing home sales, which measures closings rather than contract signings, follows several months of weaker pending home sales numbers, potentially reflecting the impact of higher mortgage rates. Despite the weaker October numbers, existing home sales have risen 6.0% in the last 12 months. Inflation data continues to come in lower than expected with the headline Consumer Price Index falling 0.1% vs. expectations of being flat. Energy price decline of 1.7% in the month was the largest contributor. This report points to a continued subdued inflationary trend and may result in any tapering by the Fed being pushed back even further than expected. According to a study by the Department of Labor, private sector employers of union workers pay almost four times as much money for retirement benefits (per hour worked by an employee) as compared to private sector employers of non-union workers. *Official portrait of Janet L. Yellen, Vice Chair of the Board of Governors of the Federal Reserve System. Source: Obtained via email from Federal Reserve OPA. Date: October 5, 2010. Author: United States Federal Reserve. 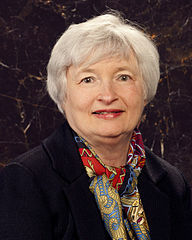 Permission by Public Domain, per correspondence with the Federal Reserve (See, http://commons.wikimedia.org/wiki/File:Janet_Yellen_official_portrait.jpg). • Incoming Fed Chairperson Janet Yellen had her Senate confirmation hearing this week where she reiterated her dovish (accommodative) stance on monetary policy. She stated that, “We have made good progress, but we have farther to go to regain the ground lost in the crisis and the recession.” Other statements made by Yellen further indicated her support of the continuation of accommodative policies. • President Obama announced nearly apologetically this week that he will allow insurance companies to continue to offer existing policies in 2014 even if they fail to meet the standards set by the Affordable Care Act. Obama’s flip on this position follows pressure from the public after it emerged that his repeated pledge that, “If you like your plan, you can keep it,” completely contradicted the terms of his own law as many Americans had received notice that their current plan would not be renewed. 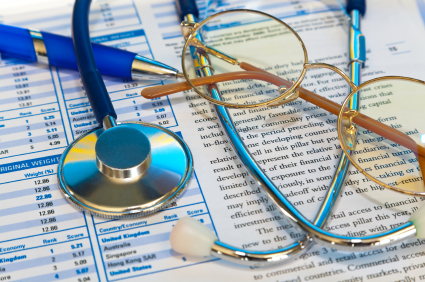 The patchwork extension of these provisions may prove to be anything but easy as some experts are warning that it could destabilize the market and result in higher premiums for consumers. • Meanwhile, fewer than 50,000 people have managed to enroll in private insurance plans via the government’s bug-addled Healthcare.gov website as of last week. This number is less than 10% of the total that had been projected to be enrolled by this time. It seems as though the Congressional Budget Office’s prediction of 7 million enrollments by March is a pipedream at this point. Stock markets set new record highs again this week as the S&P 500 Index increased by 1.61%, closing at 1,798. The Dow Jones Industrial Average was up 1.37% to close at 15,962. The S&P and the Dow respectively are up 26.08% and 21.81% year to date. Treasury yields fell a bit this week with the 5 year and 10 year treasury now yielding 1.35% and 2.70% respectively. The spot price of WTI Crude Oil continued to tumble this week, dropping by 0.95%, closing at $93.70 per barrel. Year to date, oil is now only up 0.35%. The spot price of Gold held steady this week, falling by 0.12% and closing at $1290.05/ounce. Gold is now down 23.00% this year. Initial jobless claims rose from last week to 339,000 vs. consensus estimates of 330,000. The Labor Department did note that claims were estimated for five states due to the Veteran’s Day Holiday. Eurozone GDP growth came in lower than expected for the 3rd quarter at just 0.1% growth, worse than the 0.3% registered in the 2nd quarter. Investors viewed the weaker than expected data as further evidence that the European Central Bank will need to maintain an ultra-accommodative policy stance for the time being. Contributing to the Eurozone’s disappointing growth was Italy’s 0.1% contraction in GDP. The Eurozone’s third largest economy has seen nine straight quarters of GDP decline. Total health care spending in the U.S. (includes both government/public and private spending) is expected to be $2.9 trillion in 2013. The Centers for Medicare and Medicaid Services estimate that the total will climb over 72% by 2022 to $5.0 trillion. Thousands of Veterans and their families have been visiting the campus of West Aurora HS. Thousands of Aurora students had the opportunity to meet and thank American Heroes; Maj. Gen. Max Baratz, Alumni of WAHS ’52, Lt. Gen. Randall Rigby, who had the distinct honor and privilege of introducing Medal of Honor recipients Sgt. Allen Lynch and Sgt. Sammy Lee Davis. There are only 79 living Medal of Honor recipients. The opportunity to see both of these heroes in one place is considered a “once in a lifetime” event. West Aurora HS pulled out all of the stops with their choirs, wind symphony and marching band setting a remarkable patriotic tone for the assemblies. The Moving Vietnam Wall was on display adjacent to the Healing Field of 2,013 American Flags waving in the November breeze and tagged with remembrances and dedications to soldiers living and deceased who stood guard for our freedom. Chairman of Patriotism Rudy Keller was in a hundred places at once. Gold Star Families of First Lt. Timothy Ryan, Private Nicholas Howe and Specialist Christopher Patterson were presented American Flags and Medallions by the Generals and Medal of Honor Recipients; Heroes honoring Heroes who made the ultimate sacrifice. It’s been a remarkable week in Aurora that will provide a lifetime of memories. Every branch of the service was honored, as was every man and woman who wore or wears the uniform of the United States of America. Old Second Bank was a proud sponsor to help bring this event to West Aurora High School. It’s been an honor and privilege to be able to participate. We salute every volunteer who made this possible. To those who’ve protected our freedom over every generation, we salute you and thank you on this special day and every other day. Without you, nothing would be possible. 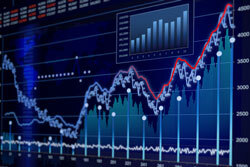 · In a move that surprised the markets, the European Central Bank cuts interest rates to a record low on Thursday and said it could take them even lower in order to prevent the Eurozone’s recovery from stalling in the face of falling inflation. The ECB cut its main refinancing rate by 25 basis points to 0.25% and cut its emergency borrowing rate to 0.75% from 1%. · Also this week, the European Commission has lowered its 2014 Eurozone GDP forecast to 1.1% from 1.2%. It also expects unemployment to remain high at 12.2% and inflation to remain low at 1.5%. These estimations may have been what led to the ECB’s rate cut decision. Stock markets set new record highs again this week as the S&P 500 Index increased by 0.51%, closing at 1,771. The Dow Jones Industrial Average was up 0.94% to close at 15,762. The S&P and the Dow respectively are up 24.15% and 20.28% year to date. Treasury yields trickled upward this week with the 5 year and 10 year treasury now yielding 1.42% and 2.75% respectively. The spot price of WTI Crude Oil continued to tumble this week, dropping by 0.26%, closing at $94.36 per barrel. Lower oil prices are being reflected at the pump as nationwide gas prices have been falling as well. Year to date, oil is now only up 1.06%. The spot price of Gold continues to fall, dropping by 2.14% this week and closing at $1287.95/ounce. Gold is now down 23.12% this year. Initial jobless claims declined from last week to 336,000 vs. consensus estimates of 335,000. The Labor Department noted again that all issues related to collecting data in previous weeks have been resolved so this is being taken as another positive report. The October employment report was stronger than expected, showing gains of 204,000 jobs in the month vs. expectations of 120,000. The report also included upward revisions totaling 60,000 for August and September. The Labor Department noted that there was little impact from the government shutdown on employment in the month. The unemployment rate fell in line with estimates at 7.3%. There was also a large drop in the labor participation rate of 0.4% to 62.8%, but that was likely due to furloughed government workers not reporting themselves as seeking employment during the shutdown. U.S. 3rd quarter GDP rose more than expected at 2.8% vs. expectations of 2.0%. The beat came largely from a larger than expected inventory contribution and a smaller than expected decline in government spending. The Fed held a meeting this week which was largely uneventful. The committee’s assessment of the economy was only marginally changed in the face of recent events. The committee did note that fiscal policy issues surrounding the debt ceiling could have a negative impact on economic growth. They also did not give any more indication as to when a tapering of asset purchases may begin, although most analysts have pushed back their forecasts into early 2014. 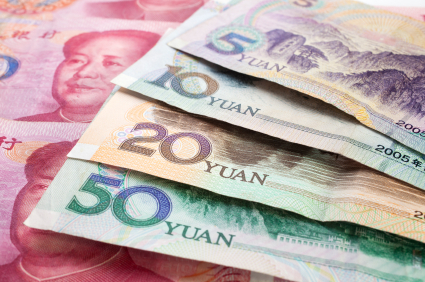 The People’s Bank of China has injected 13 billion yuan ($2.13 billion) into the country’s money markets this week, resuming such liquidity actions for the first time in two weeks. However, despite the move that was designed to ease fears that the bank was planning to dramatically tighten monetary policy, short term interest rates remain at very high levels. The amount that people can receive in food stamps is due to fall on Friday, following the expiration of a 13.6% increase in the program that the government introduced in 2009 as part of its stimulus plan. That increase, as well as the great recession, has helped send spending on the Supplemental Nutrition Assistance Program to a record $78.4 billion in the fiscal year ending September 30. Stock markets set new record highs again this week as the S&P 500 Index increased by 0.13%, closing at 1,762. The Dow Jones Industrial Average was up 0.29% to close at 15,615. The S&P and the Dow respectively are up 23.52% and 19.17% year to date. Treasury yields ticked back up this week with the 5 year and 10 year treasury now yielding 1.38% and 2.62% respectively. The spot price of WTI Crude Oil continued its extended fall this week, dropping by 3.28%, closing at $94.64 per barrel. Lower oil prices are being reflected at the pump as nationwide gas prices have been falling as well. Year to date, oil is now only up 1.36%. The spot price of Gold fell this week, dropping by 2.60% this week and closing at $1315.55/ounce. Gold is now down 21.48% this year. Weekly Initial Jobless Claims declined this week, coming in at 340,000 vs. expectations of 338,000. The Labor Department stated that the processing issues they had been experiencing that were distorting claims numbers have been cleared up so this can be taken as a real data point this week. The level of claims stands above the pre-distortion 4 week moving average of 329,000. Core Consumer Price Index, a common measure for inflation, rose less than expected at 0.1% vs. expectations of 0.2%. Core CPI is up 1.7% on a year over year basis, still well below the Fed’s threshold to begin tightening measures. Pending home sales declined more than expected in September, falling by 5.6% vs. consensus expectations of 0.0%. This is seen as an unfavorable indicator for existing home sales in the coming months. According to the College Board, the average cost for one year of college education at an in-state public college is $18,391 for the 2013-14 school year (including tuition, fees, room and board). The total 1-year cost has increased +5.8% per year over the last 30 years. If that same rate of inflation continues, a child who is a 1st grader today will pay $156,868 for his/her 4-years of education at an in-state public college during the years 2025-29.